Want to learn what your followers on Twitter are interested in? 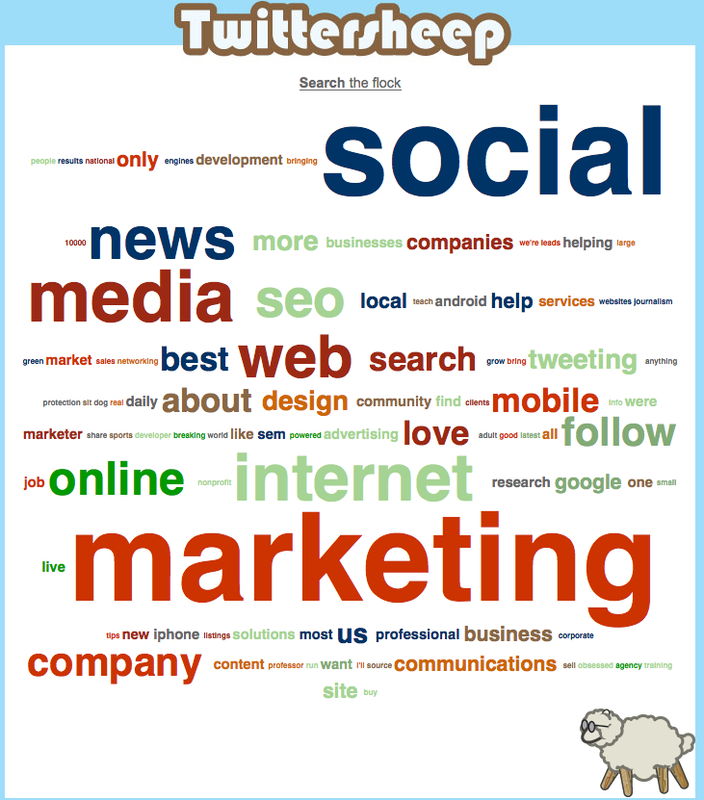 Plug your name into TwitterSheep to get the picture – a picture of their tag cloud. This is a word cloud generated from the bios of my followers on Twitter. Based on the majority of their cloud tags, it appears my Tweets content attracts Twitter users with similar interests to mine. A TwitterSheep cloud tag analysis of a Twitter account can illustrate whether or not a particular account stays on topic by the type of followers it attracts. In my case and based on the size of the tags most common to the Twitter followers I attract, Marketing, Social, Media, News. Internet, Web and Online each confirm my Tweets are congruent with my business focus. 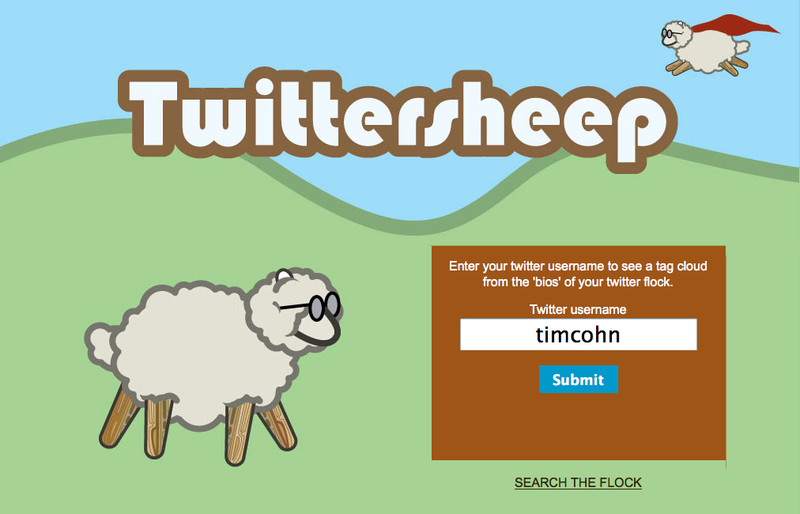 This entry was posted on August 4, 2010 at 4:56 pm and is filed under TwitterSheep Twitter Follower Visualization Tool. You can follow any responses to this entry through the RSS 2.0 feed. You can leave a response, or trackback from your own site.